Which Fabrics Are Most Fire Resistant? What is a Gored Skirt? Dresses made of pinwale pique fabric are textured, breezey and prime for warm weather wear. 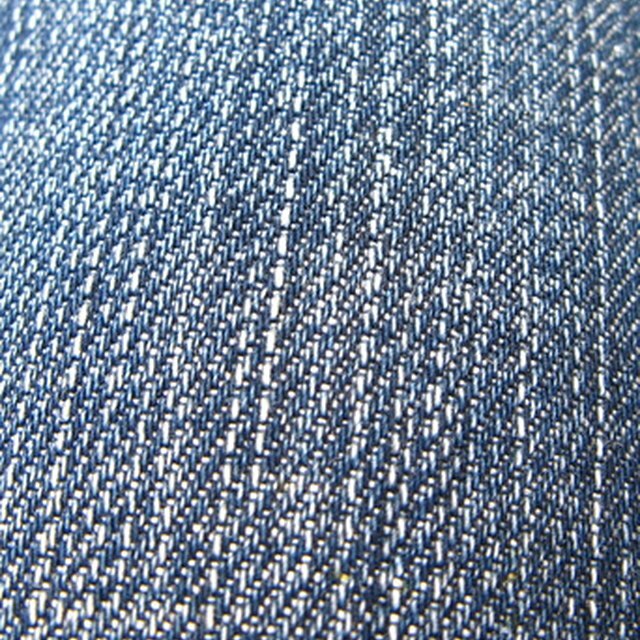 1 How Is Denim Fabric Constructed? 3 Which Fabrics Are Most Fire Resistant? 4 What is a Gored Skirt? Pinwale pique fabric is popularly used to make dresses worn during the spring and summer months in North America, and year-round in balmy locations like the tropics. It is traditionally made from cotton fibers, but manufacturers have found ways to create similar surface features that natural pinwale pique is known for with synthetic fibers blended in. Pinwale pique fabric appeals to the fashion world as much as it does the interior design community. It is comfortable to wear, wicks away moisture when worn, simple to drape, and amenable to printing, embellishment and dyeing. It can be the decorative fabric of choice for window treatments. Pinwale pique fabrics combine form and function: They contribute to air flow on the body and in rooms, and they are distinguished by virtue of their surface texture. Pinwale pique fabrics, whether they are pure cotton or blended with synthetic fibers, are meant to be soft to the touch. This fabric is stitched in a way that creates air pockets of varying width and length. Pinwale pique fabric may be described as "puckered" or "embellished." It does not lie flat for ironing. Once aerated, it puffs up to the degree that its stitching allows. Pinwale pique fabric can be stitched with very narrow ridges or ribs that resemble the cold-weather fabric, corduroy. Alternately, pinwale pique can be embellished with cross-grain stitching that magnifies the detail of the fabric. Early renditions of pinwale pique fabric items were sewn to highlight the upraised ribbing horizontally. Currently, it is most often sewn with the ribs running vertically. The combination of fine and coarser yards give it its ribbed texture. It is considered sturdy and washable in many cases, in accordance with manufacturers' instructions. A. Scott Walton began his journalism career in 1985 at the "Nashville Tennessean." His reports have extended to radio, television and the Web and he has written extensively for the "Detroit Free Press," the "Atlanta Journal-Constitution," the "Atlanta Voice" and many other publications. Walton holds a Bachelor of Arts in communications from Vanderbilt University. Do You Have to Use Pinking Shears to Keep Fabric From Unraveling? How Fire Resistant Are 80/20 Cotton-Polyester Blends?